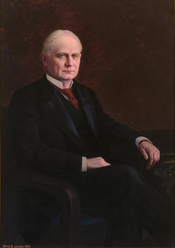 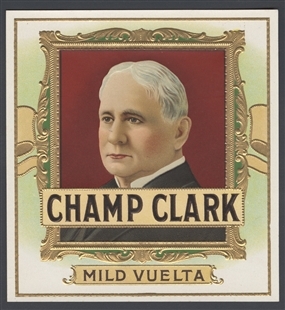 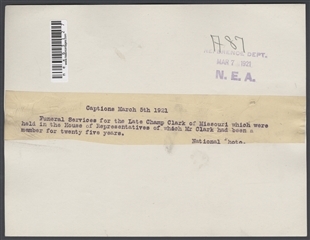 Champ Clark, a Missouri Congressman and former Speaker of the House, died on March 2, 1921, two days before the close of the 66th Congress. His funeral occurred in the House Chamber on March 5. 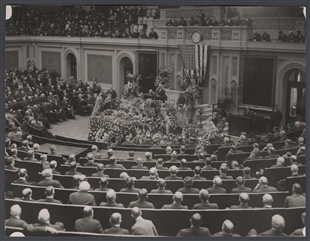 A photograph shows his coffin in the well of the House Floor. 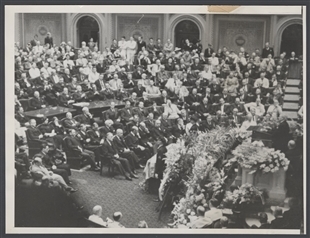 Flowers appear to pour down from the Speaker’s rostrum, and friends somberly filled the seats.